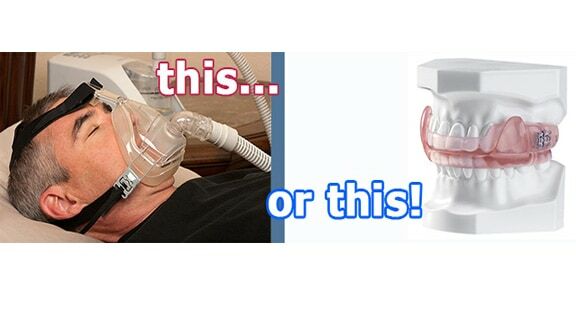 Are you or a loved one experiencing a sleep disorder like significantly loud snoring or sleep apnea? We all know how frustrating it can be to have a partner or a family member who snores – it can be very disruptive at times. But did you know that snoring can be a sign of other more serious sleep disorders, which can be a silent killer? Restful sleep is a key ingredient to overall body health – an energized, healthier YOU! Call us today and we’ll be happy to discuss these issues and determine if treatment will be beneficial. Time to sleep soundly again! 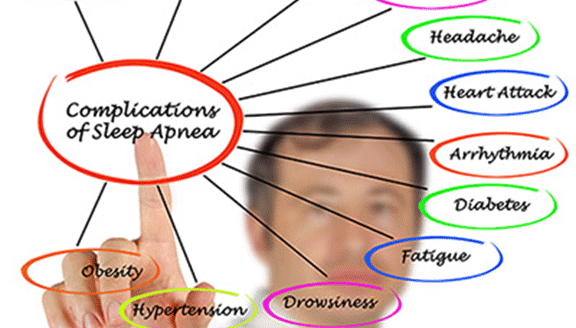 Obstructive sleep apnea (OSA) is a very common sleep disorder that affects tens of millions of Americans. It is characterized by interrupted breathing during sleep, resulting in an insufficient delivery of oxygen to the lungs. At the individual level, OSA is associated with an increased risk of cardiovascular disease, high blood pressure, stroke, diabetes, and arrhythmias. MRIbased studies have even shown that patients with OSA had memory loss and decreased sizes of certain brain structures, such as the mammillary bodies. The answer is simple — YES! A mandibular advancement device is made to be comfortable, so that you can sleep without even noticing you’re wearing it. It does not prevent you from breathing with your mouth open and will even eliminate snoring for patients with sinus congestion or allergies. You may experience some slight stiffness of the jaw for the first few mornings after wearing the device, but this feeling is only temporary, and will go away after waking up and removing the device. The latest report by the Institute of Medicine (IOM) estimates that as many as 70 million Americans suffer from chronic sleep disorders, including obstructive sleep apnea, daytime sleepiness, and snoring. That’s 1 in 5 Americans! With oral appliance therapy, dentists can alleviate or eliminate the many symptoms associated with sleep apnea. If you or a loved one has questions regarding sleep apnea, snoring, daytime drowsiness, or any other sleep disorder, please consult the dental sleep medicine experts at Great Hill Dental Partners. But sleep-related problems go beyond the individual patient. Not only are undiagnosed and untreated sleep disorders dangerous to your own health, they are also a potential hazard to those around you who may not get a good night’s sleep themselves. In addition, the National Institutes of Health (NIH) states that 12 million Americans today have obstructive sleep apnea, although this is a conservative estimate. The NIH recognizes that many cases of sleep apnea are unreported because people either do not report the condition or do not know they have the disease. Thus, it is important for all patients to be screened for sleep disorders to help prevent the abovementioned health complications. Sleep disorders include sleep apnea, snoring, narcolepsy, insomnia, and chronic fatigue. Dentists with special training in sleep medicine play a vital role in determining appropriate treatment. After a diagnosis is made by a sleep physician, a dental sleep medicine provider can custom design and deliver oral appliance therapy (OAT), a proven treatment option for those with sleep apnea. For example, a mandibular advancement device (MAD) can be calibrated to a certain distance, there by creating an ideal airway opening for a patient with snoring or OSA. Other devices can stabilize the jaw and tongue, as well as increasing the muscle tone of facial structures. Typically, OAT is indicated for patients with mild to moderate sleep apnea, whereas those with severe OSA rely on heavier, bulkier facemask devices called CPAP (continuous airway positive pressure). Unfortunately, these large devices can severely affect the quality of life of users and their partners and family members. In addition, some patients undergo throat surgery (i.e., UPPP – uvulopalatopharyngoplasty) to help alleviate symptoms. While there are various effective treatment modalities, many patients prefer that doctors offer conservative options such as OAT before surgery or cumbersome facemask machines are considered. Restful sleep is a key ingredient to overall body health - an energized, healthier YOU!